It’s no accident that surfers have amazing bodies. I prefer the lean surfer physique and not the body builder look not only because of bulkiness but because of the functionality and flexibility that comes with it. It’s the engagement your full body & stabilizer muscles with the constant shock of changing direction that creates such a change. 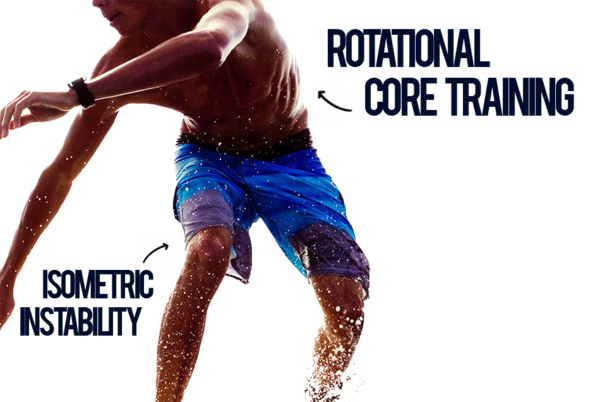 You have to train like an athlete to build an athletic body type, and that means multi-planar movements that engage the body & mind in challenging and unique ways. A professional surfer is lean without looking weak, and muscular without the bulk. Sharp muscle lines are perfectly symmetrical, and overall body balance creates that enviable athletic physique. Paddling builds shoulder definition, strengthens the lower back muscles, and increases cardiovascular fitness. Duck-diving through waves builds arm strength: tricep strength in particular. Stomach to standing engages the system – in particular the core and pectoral muscles, and helps to build explosive power. And the actual process of standing and riding the wave increases leg strength, flexibility, and engages all the postural muscles. The body must flow to create a seamless wave sequence and it’s this mindset that helps set up the day with balance and mindfulness. It’s rare for any other thoughts to enter your mind as you’re charging down the face of a wave, the now is all you’re focussed on. Surfing just doesn’t give you a great physique but it also works your cardiovascular system. Short bursts of power riding the wave works the anaerobic side of things but what comes in must go out which is where paddling back out to the line up builds endurance. Can you think of any other workout that can deliver such benefits? Oh and I should also mention the fact that you are in the best playground in the world…the ocean!